Easy-to-use assessment & placement test for parents and students. Even in this digital age, where we can keep track of life at the touch of a button, it still seems that we have to have too many apps to maintain all of our information. A calendar here and recipes there, but what about school? And how do we easily share with the rest of the family? 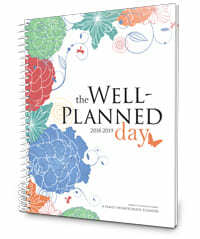 My Well Planned Day online planning software integrates all of this and more! 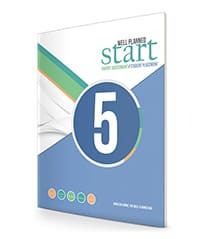 Create or download lesson plans, assign them to your students, then easily either print a weekly plan or set up a student login that allows them to access assignments. With the click of a button, you can track attendance and record grades all in one handy location. Meanwhile, quickly add assignments, events, and appointments to your online calendar, incorporating family members who need access through their logins. Round out the planning by laying out meals and menus, adding to-do lists for yourself or kids, assigning chores, and more! And, because My Well Planned Day is mobile friendly, every family member can access your plans and calendar from any Internet-capable device. 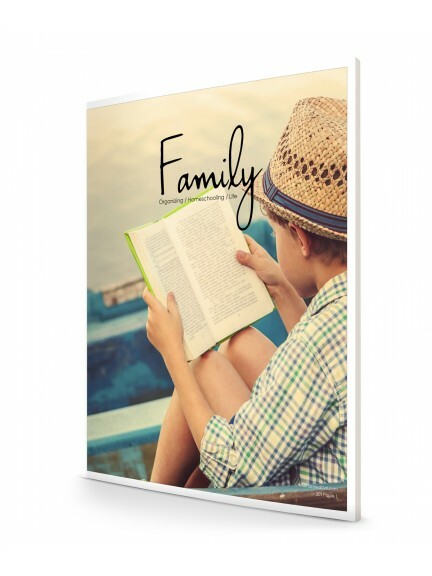 Homeschool and household planning consolidated, accessible, and shareable. That's well planned! No matter how busy your day, you've got it all together. One place for your shopping lists, to-dos, menu plans, and appointments. Stay on track no matter what the day throws at you. MOBILE FRIENDLY: Access your plans from any mobile device that connects to the Internet. 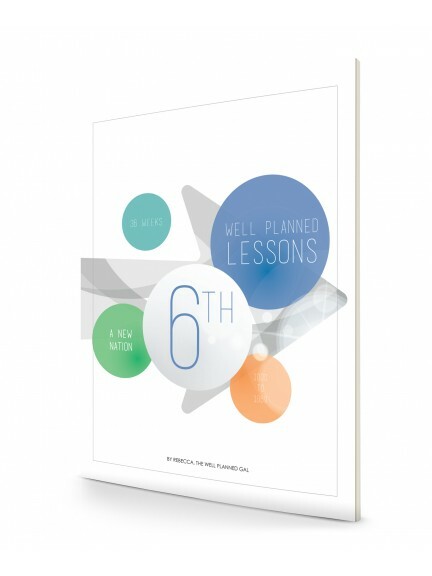 VERSATILE LESSON PLANS: Create lesson plans to use for multiple students. CUSTOM SCHOOL SETUP: Customize your software with your own subjects, holidays, and school periods. USER PERMISSIONS: Allow students, parents, or teachers to access areas with permissions. MEAL PLANNING: Organize your recipes, plan your meals, and create shopping lists all in one place. Cutting-edge technology, easy-to-use interface, broad functionality, and the look that made Well Planned Gal famous … all in the palm of your hand. Timesaver! 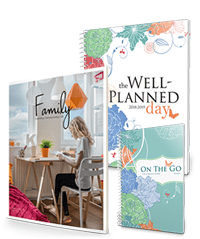 Review by Elizabeth B.
I am a hard-core paper planner gal, but I still cannot imagine homeschooling without My Well Planned Day online planning! With My Well Planned Day, I can easily lay out an entire year or semester in a way that allows me to feel like I am on top of the school year. But, when the inevitable interruptions or schedule changes pop up, I can easily tweak the plan while still keeping up with course progress. I can also easily add in extra practice or lessons for material that my kids need a little more work on or reduce extra work in areas that they grasp well. My Well Planned Day has saved me an amazing amount of time on weekly planning, but it has also let me manage the rest of life well, too. I can assign chore tasks or meal preparation to individual children while also keeping up with my own schedule and routine. Although I love transferring each week's tasks and plan to my print Well Planned Day planner, I can't imagine not having My Well Planned Day for long-term planning. It's been such a lifesaver! I tend to prefer paper planners, but the benefits of the digital My Well Planned Day really sold me on the digital planner! It's so easy to move assignments around! 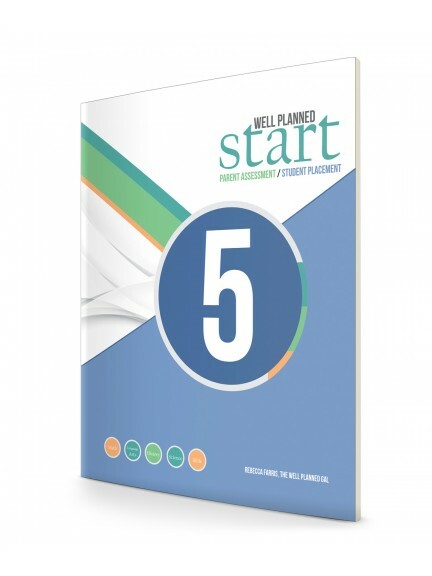 The digital lesson plan add-ons are also a huge timesaver. I love that I can enter grades, track attendance, and then use the report feature to have all of the info I need for reporting ready to go. Only one of my children uses the student login at this point, but it works so much better for him than paper planners did. Some of my kids still prefer the paper, but my son asked to try "going digital" this year, and I'm so glad that I agreed to let him, because it's definitely been the right planning solution for him. I have all of his courses and assignments set up, he logs in under his student login, and can check off completed assignments. He can't change or grade them, only I can do that.